The 10th SARRAH National Conference was hosted by Hotel Grand Chancellor Launceston in Tasmania and ran from 20-23 September 2012. SARRAH chose Launceston for the 2012 SARRAH National Conference ’Rural and Remote Practice: Totally Wild!’ The conference themes were contemporary and relevant. Delegates were able to network with colleagues from around Australia and overseas and allow the conference to inspire, challenge and focus on Celebrating Client Centered Care, Chronic Conditions and Coordinated Care, Creating Community Capacity, Cultivating Champions, Confident Competent Clinicians, and Curious and Captivating Conversations. Allied health professionals in Tasmania provided a unique perspective on the rural and remote workforce and delivery of services. Tasmanian allied health professionals (AHPs) practice in an island state, serving a decentralised population. Along with all rural and remote AHPs, we have a passion for what we do, value broad professional networks and take pride in our resourcefulness. A great conference needs a great destination and Launceston is just that. Delegates were able to venture out to discover our ancient wilderness, vibrant arts scene, unique wildlife and world famous seafood, produce and cool climate wines. 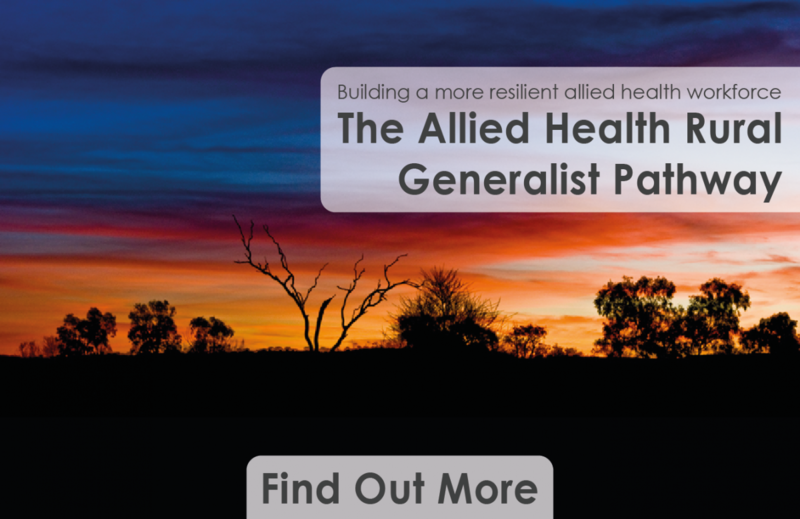 The conference attracted AHPs working in rural and remote areas and managers of these services; workforce planners, developers and funders of health policy and programs relating to rural and remote allied health services, educators of allied health professionals and consumers of these services who are interested in the dynamic developments in allied health services. Allied health professions were considered to be those providing a clinical service with direct client contact involved in assessment, diagnosis, treatment, management, clinical intervention, rehabilitation, patient education and health promotion; with a recognised university degree or equivalent tertiary qualification. For example: audiologists, dietetics, medical radiation science, occupational therapy, optometry, orthoptics, orthotics and prosthetics, pharmacy, physiotherapy, podiatry, psychology, social work and speech pathology.